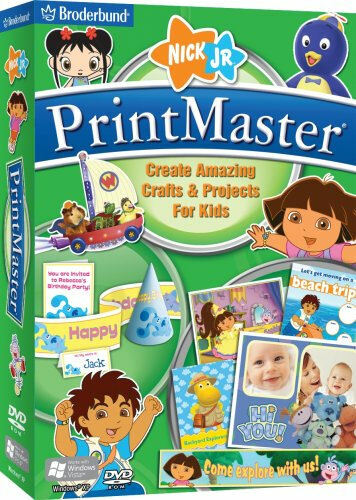 Create amazing crafts and projects for kids featuring the Nick Jr. crew! Complete home publishing solution with ready-made templates and easy-to-use design tools. 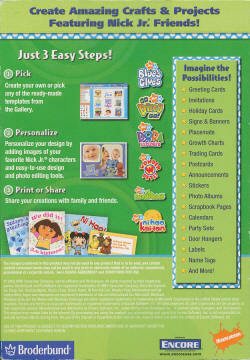 Create cards, photo projects, progress charts, party sets and more! 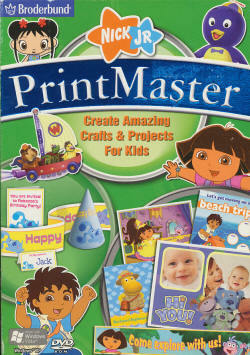 Choose from over 1,000 Nick Jr. images and graphics. Or import your own images and graphics. Customize your creations with fun and easy photo editing tools. One-click photo editing tools like red-eye reduction, sharpen, and cropping tools make it easy to make it yours. Complete home publishing solution with ready-made templates and easy-to-use design tools. Create cards, photo projects, progress charts, and party sets. 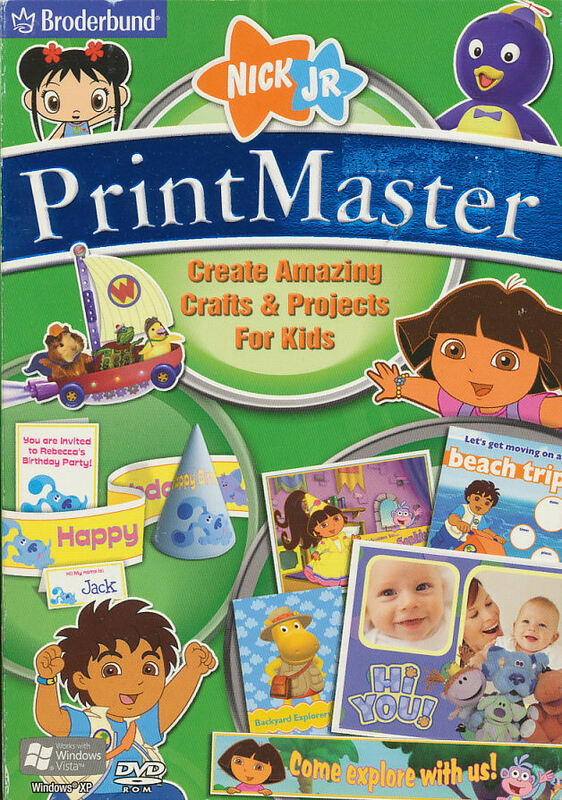 There's over 1,000 Nick Jr. images & graphics, like Dora the Explorer, Blue's Clues, Go Diego Go!, Wonder Pets, The Backyardigans, and ni hao, kai-lan. Import your own images and graphics. Windows XP (Home & Pro) SP2/Vista¹, 1.6 GHz Processor or equivalent and higher (2.0 GHz processor or equivalent and higher for optimum performance); 1 GB RAM (2 GB RAM for optimum performance); DVD-ROM Drive; 20 GB HD w/ at least 15 GB free (40 GB HD w/ at least 15 GB free for optimum performance); 1024 x 768 display, 16-bit High Color Support for Super VGA graphics (video card with 32 MB of video RAM for Vista); Microsoft .NET 3.0 Framework (included on DVD); NTFS file system; Windows compatible printer; Internet Connection². ¹Administrator privileges are required to properly install the program on Windows XP and Windows Vista. ²User is responsible for all Internet access fees and phone charges.